Life can present us with many challenges, especially when we least expect it. Although some of these challenges can be unimaginable and extremely difficult, it’s important to handle them with strength and grace. Difficult times often lead to lessons of personal power and finding your purpose. JJ Virgin, author of WARRIOR MOM, shares how she was able to discover herself. In September 10, 2012, my sixteen-year-old son Grant was struck down by a hit-and-run driver while he was out walking, and was left for dead in the street. A year later, Grant was playing tennis and working out regularly, and was stronger than ever. … Today he is 85 percent back mentally and still improving every day. This was the worst time of my life. I had almost lost my son. His life was never going to be the same. I hadn’t had a single day in which I wasn’t at the hospital watching my child fight for his life, seeing it affect my other son, feeling guilty while I was on the road for work, wrestling my son away from fights with nurses, crying in private, praying for something better, and trying to show up every day for the people who were looking to me to help them with their own problems. And I knew that more hard days were still around each corner. This wasn’t behind us yet, and deep down I knew that it never really would be. Over and over, people asked me, “How did you do it?” The truth is, I didn’t know. When Grant was in the hospital, I was operating on pure animal instinct. There was no time for me to stop and ask myself what I was doing or why, and I had no idea that our story could touch so many lives. It wasn’t until after Grant was back home that I slowly began to make sense of everything that had happened. As I talked to friends and business associates both publicly and in private to process what I’d been through, it struck me that a number of them had experienced trauma in their own lives. It’s no coincidence that many of the people who had gone on to achieve great success had also been through devastating lows. The skills they needed to be successful were the same ones that had helped them persevere through tragedy, and vice versa. I realized that without even being aware of it, when Grant was in the hospital, I’d been drawing on lessons I’d learned the hard way throughout my entire life. Using the same mindset and techniques that I’d used to face previous challenges, build my own business, and help hundreds of thousands of people lose weight and get healthier, I had not only survived the worst year of my life but had thrived. I was closer to my family than ever and my business was booming. Even better, I realized that I could teach other people those same skills and help them prepare for the best and worst that life has to offer. The lessons from Grant’s accident were bigger than me. They could reach far and wide and have a positive impact on thousands of people. That idea was exciting. In WARRIOR MOM, I’ll share with you the seven lessons I learned during the hardest period of my life, lessons I relied on during the difficult times and that helped me discover and tap into my personal power and purpose. These lessons are universal; they’re not unique to me. Whether you’re trying to lose weight, build a better business, or bring a family member back from the brink of death, these lessons together create a mindset that will make you unstoppable. Just remember, sadness can be a time of growth. Excerpted from Warrior Mom by JJ Virgin. Copyright © 2017 by JJ Virgin & Associates, Inc. Used by permission of the publisher. All rights reserved. Inside every mother is a fierce, resilient, intuitive woman who has the ability to tap into an indomitable mindset and create heroic outcomes—for her children, her family, her community and for herself—she is a Warrior Mom. 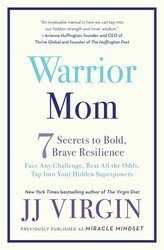 In Warrior Mom, (previously published as Miracle Mindset), celebrity health expert and four-time New York Times bestselling author, JJ Virgin reveals how one life-altering event taught her to trust her instincts, pay attention to the details that matter and defy the odds—and she shares how you can too.In 2012, JJ Virgin was in a hospital room next to her sixteen-year-old son who was struck by a hit-and-run driver and left for dead. 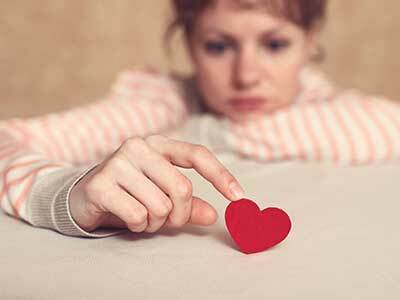 She was told by doctors that he wouldn't last through the night and to let him go. With every reason to give up, JJ chose instead to invest her energy into the hope that her son would not just survive, but thrive. In Warrior Mom, she shares the lessons that gave her the courage to overcome the worst moment of her life. During this difficult time, she learned valuable personal lessons that helped her rebuild her life and find success and purpose in herself, her work, and teach her sons and community how to face their own obstacles and trials. Lessons like “Don’t Wish It Were Easier, Make Yourself Stronger” and “Your Limitations Will Become Your Life” will lead you to your own personal power and purpose, even when the deck seems stacked against you. With true stories from her life, her clients, and other well-known thought leaders, she can help you transform your mindset and your daily habits to endure the difficult battles that life sends your way. Insightful, personal, and completely relatable, this book proves that miracles are possible when you show up, remain positive, and do the work.